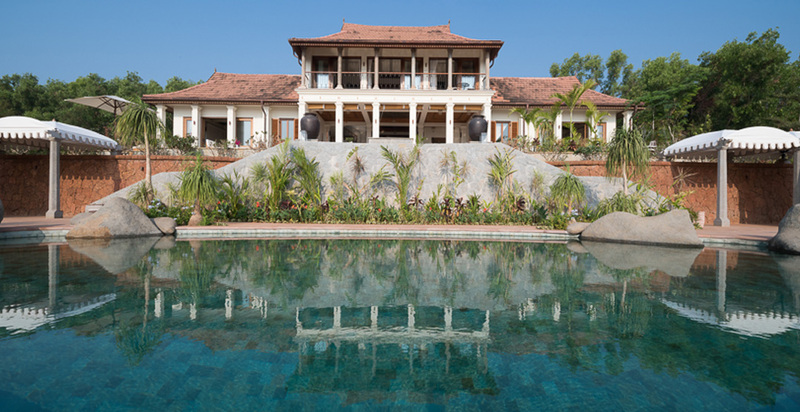 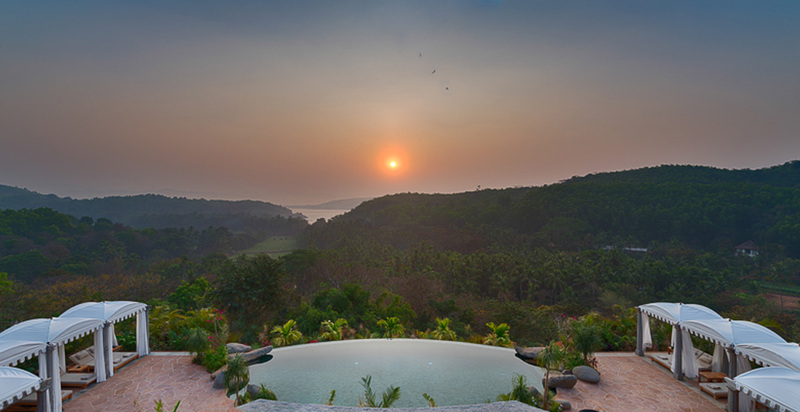 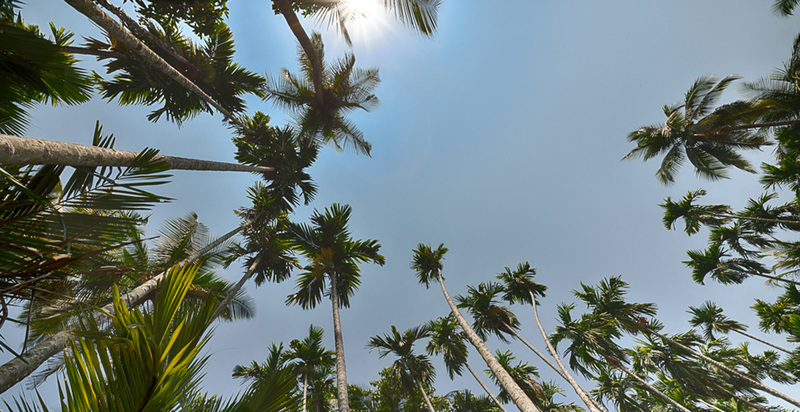 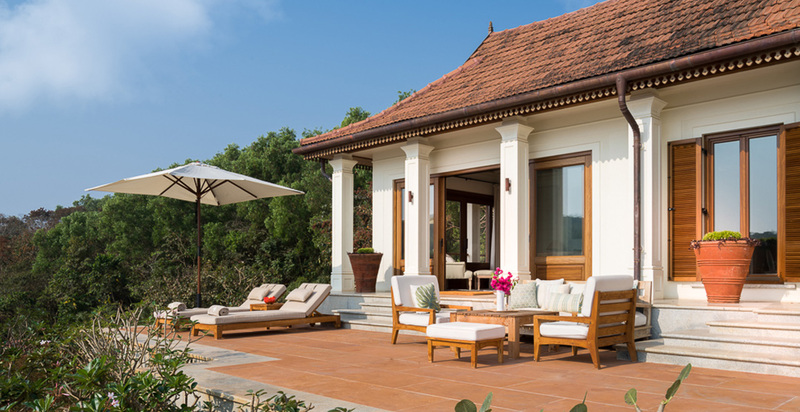 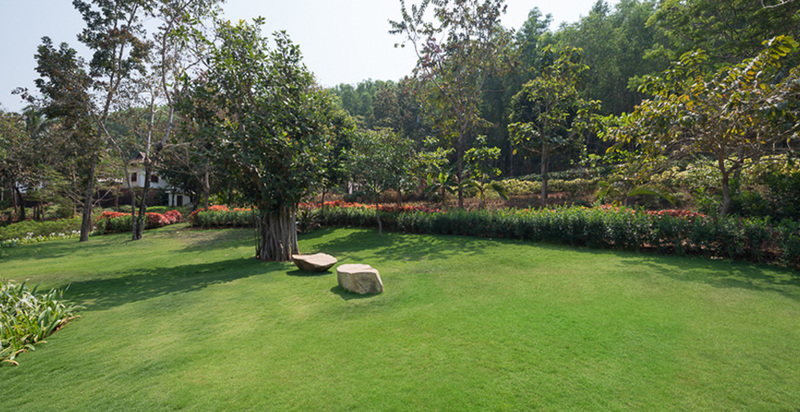 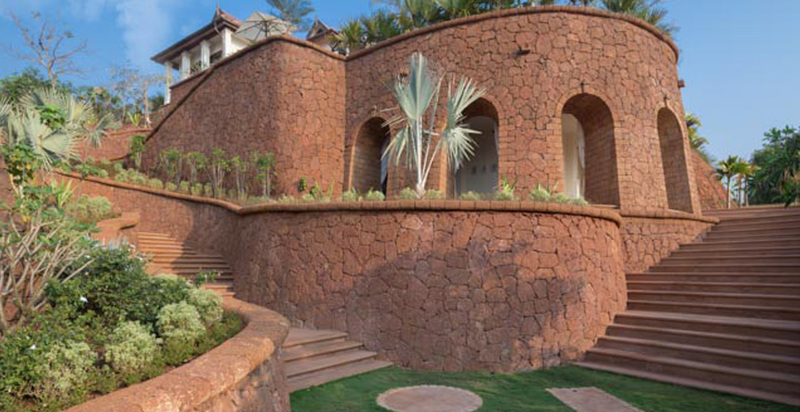 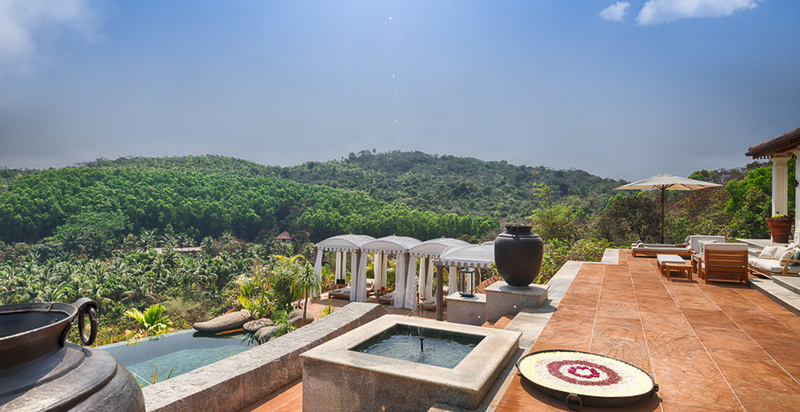 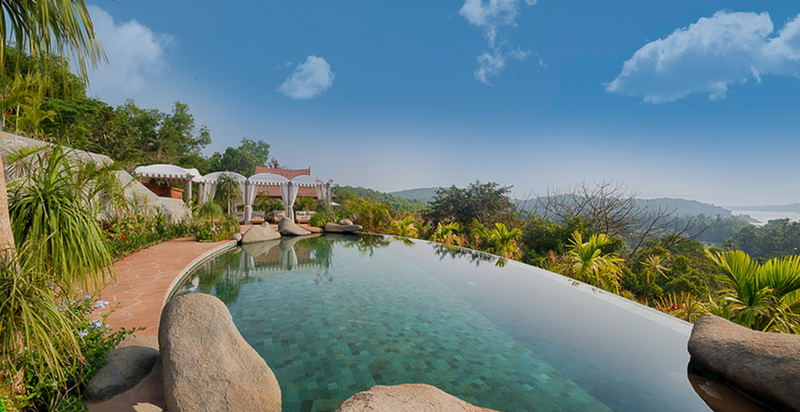 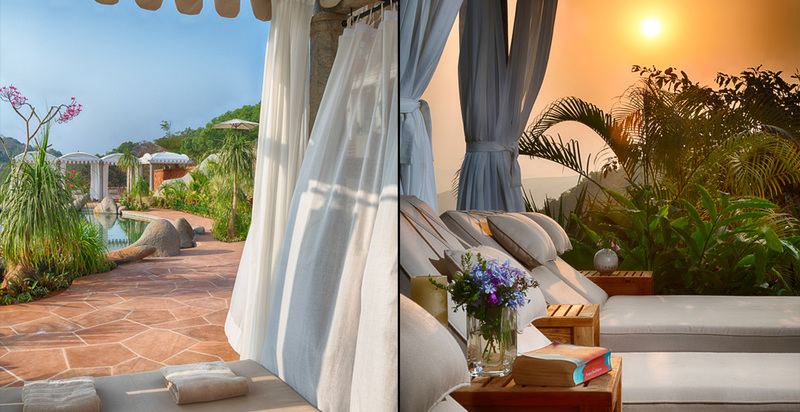 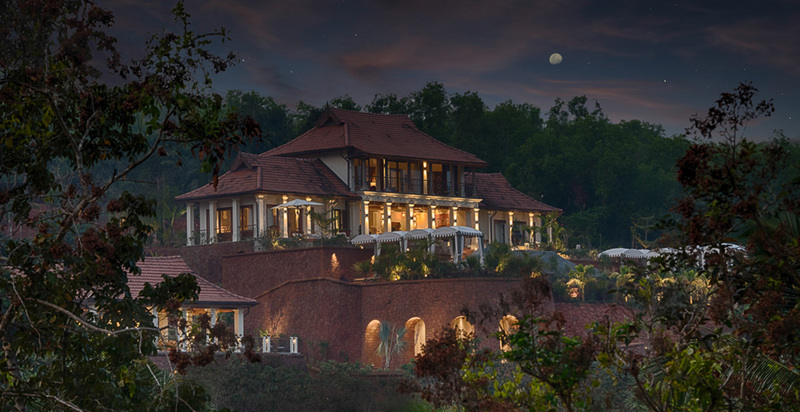 Nestled to the South of Gokarna, where the cliffs of the Western Ghat plunge into the Arabian ocean, the estate is perched on the hills and offers stunning 360 views of the jungle, the sea and the mountains beyond. 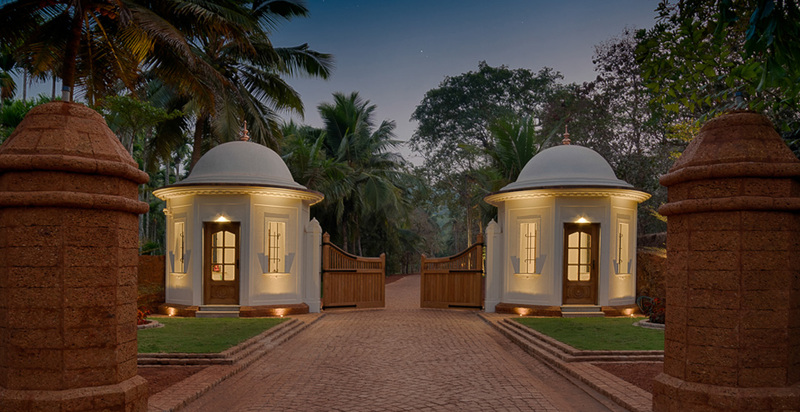 Surrounded by nature, peaceful, and almost spiritual, this is a truly unusual and exceptional place to come. 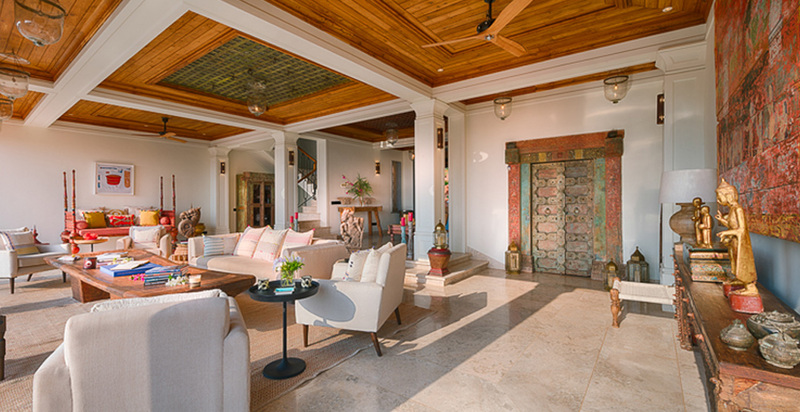 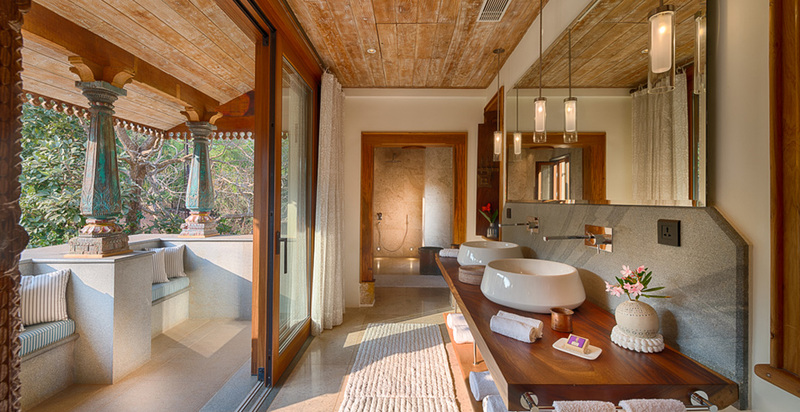 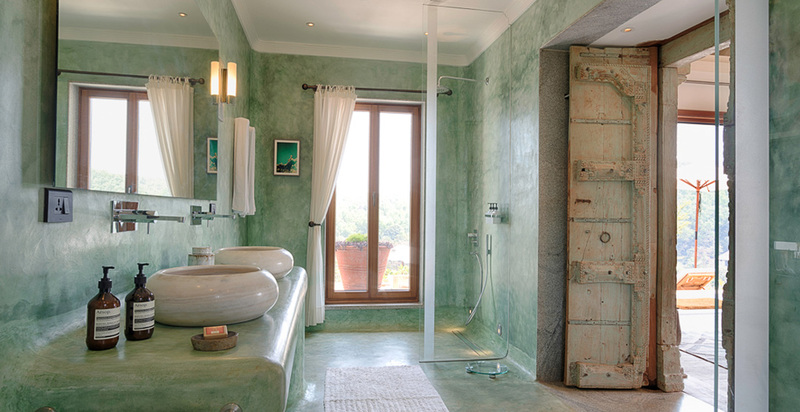 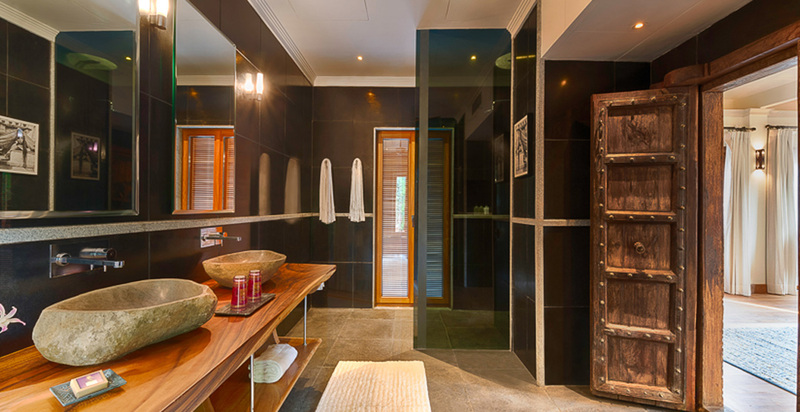 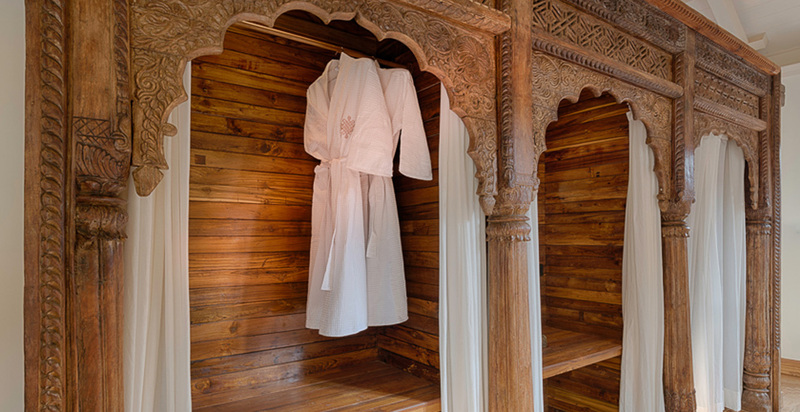 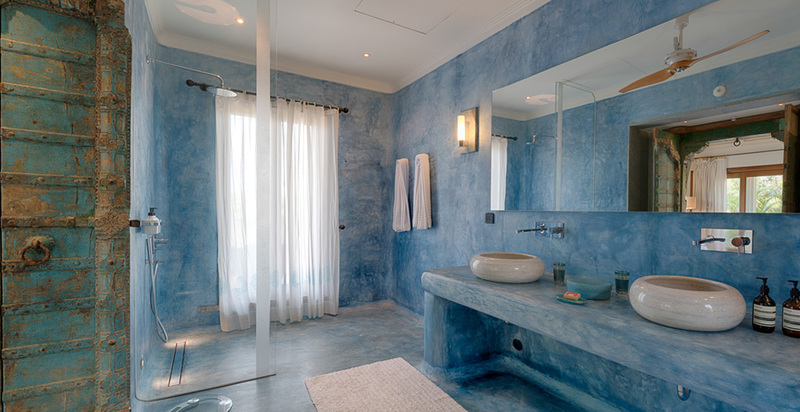 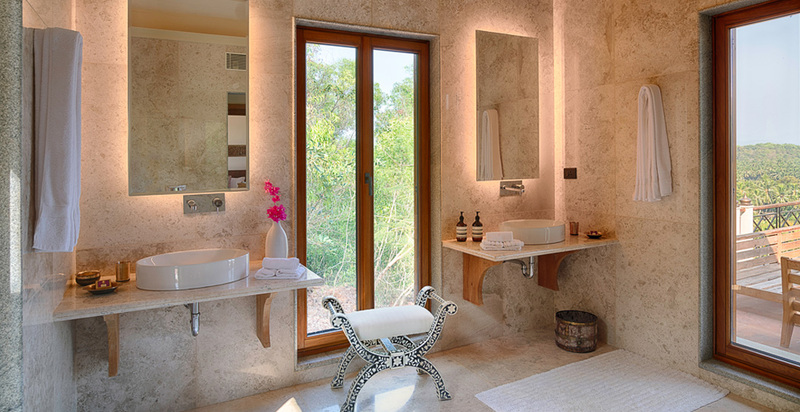 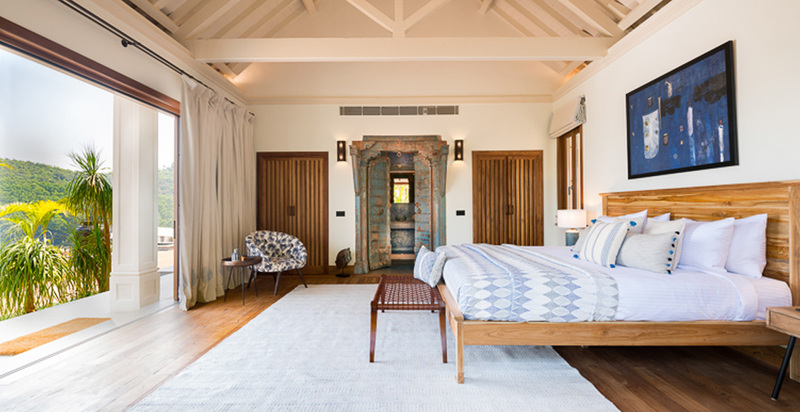 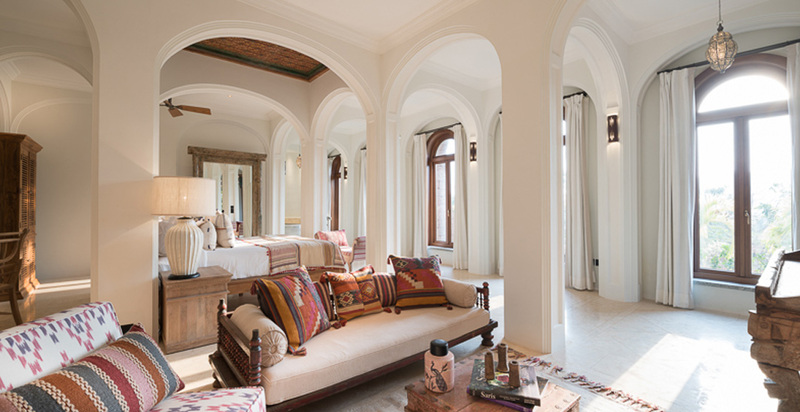 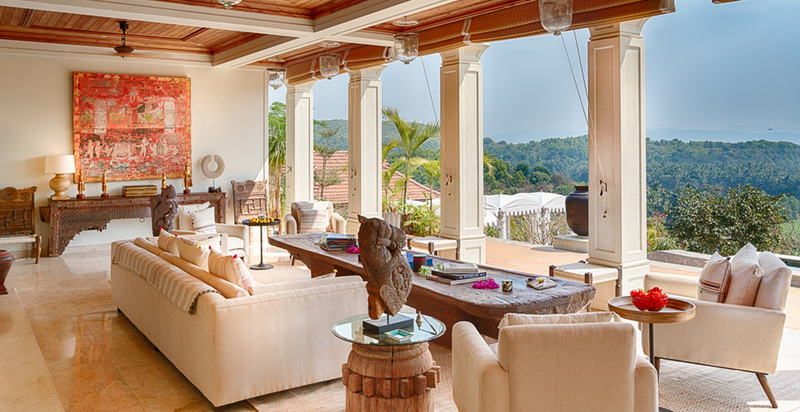 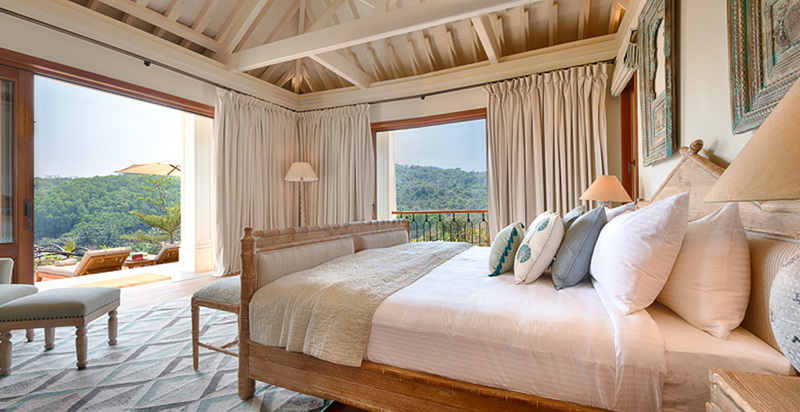 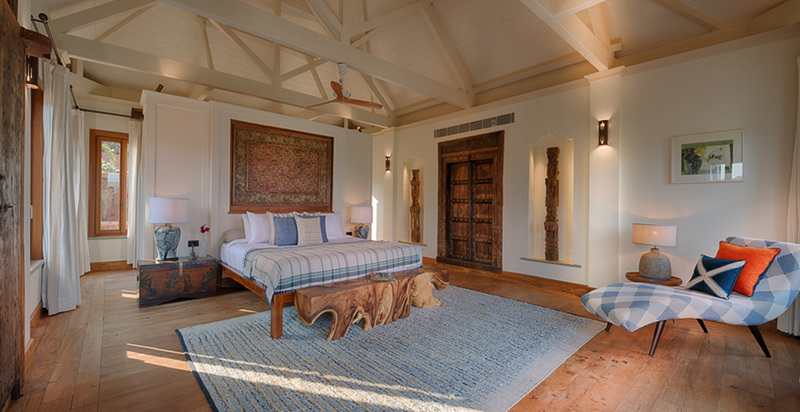 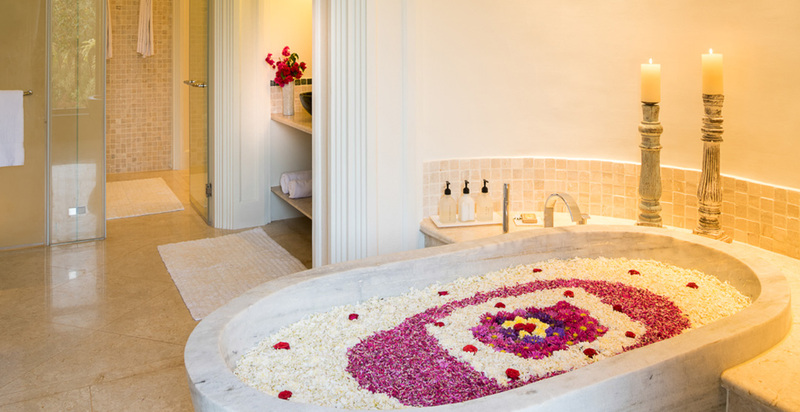 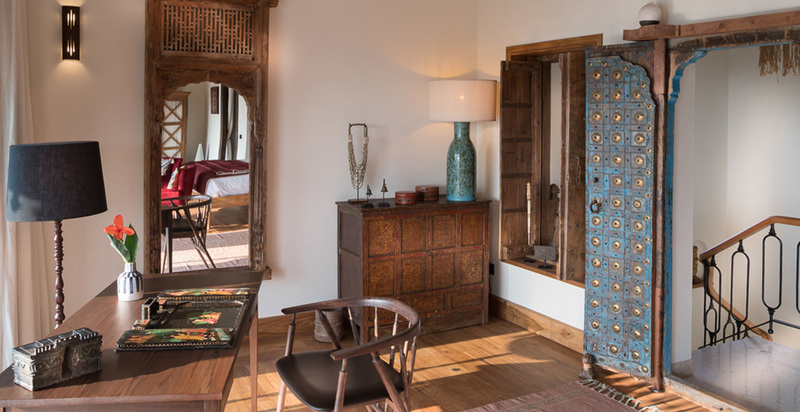 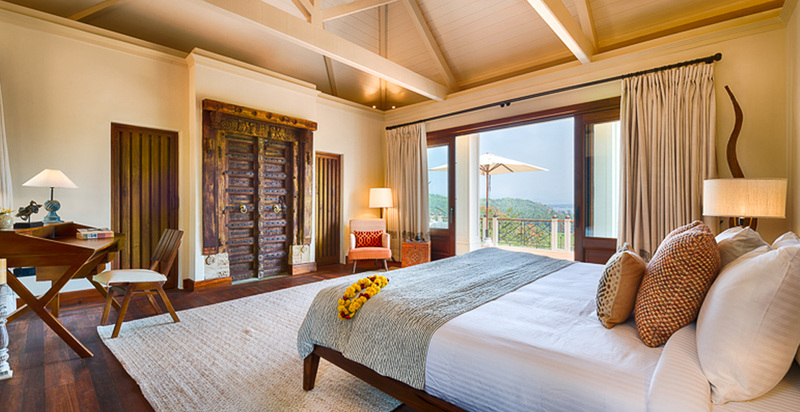 A private, newly built home, the house offers six spacious, luxurious suites, each individually decorated with refined Indian fabrics, rugs, furniture, antique doors and high ceilings with fans and air conditioning All have stunning views over the jungle and the sea. 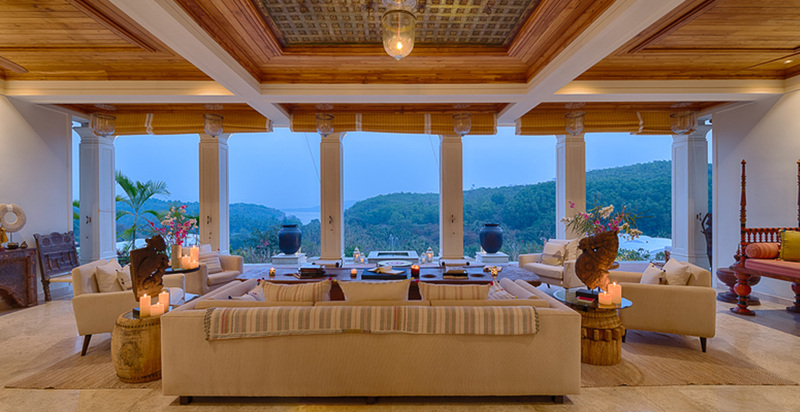 A beautiful, elegant, open living area is perched above the infinity pool with stunning views and lots of comfortable seating. 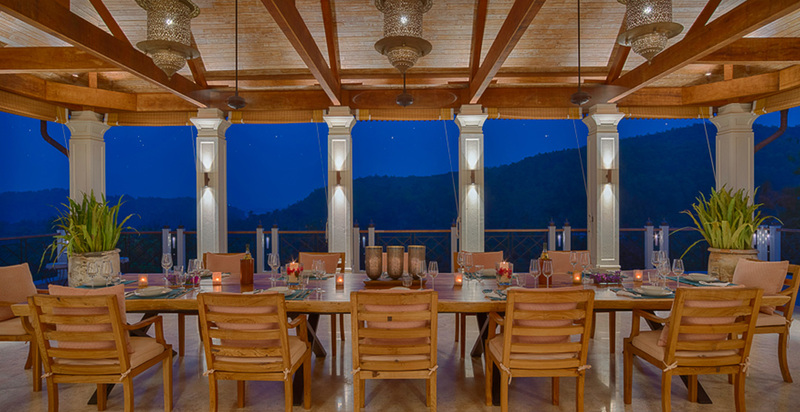 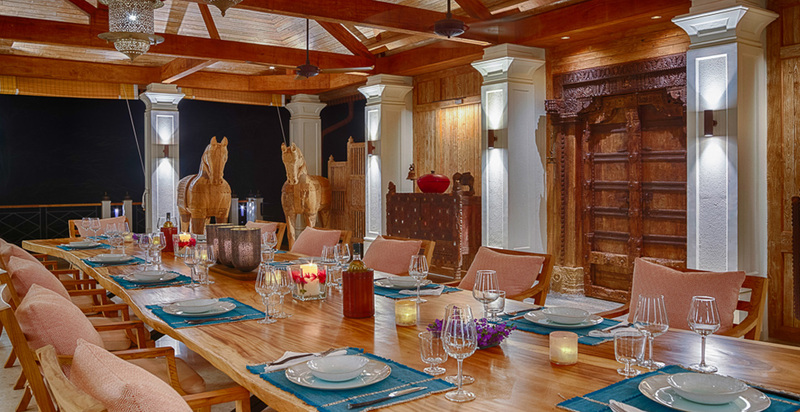 The formal open air dining room is set to one side of the house and the huge wooden table can sit 14. 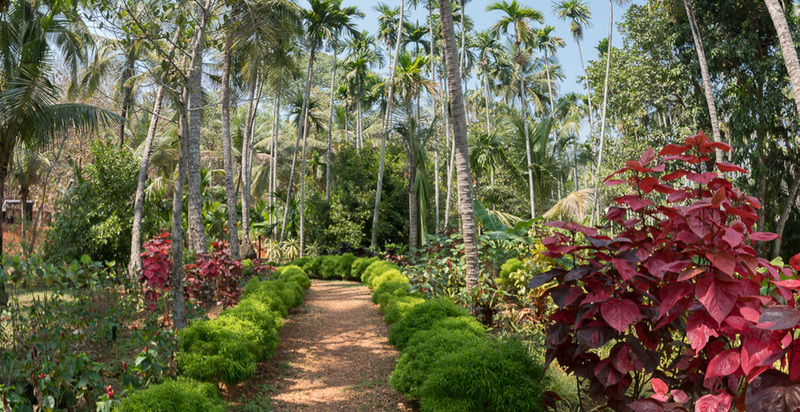 20 acres of private land surround the house and the wonderful tropical gardens afford a myriad of different walks down through the vegetable garden and orchards of betal, coconut and banana trees. 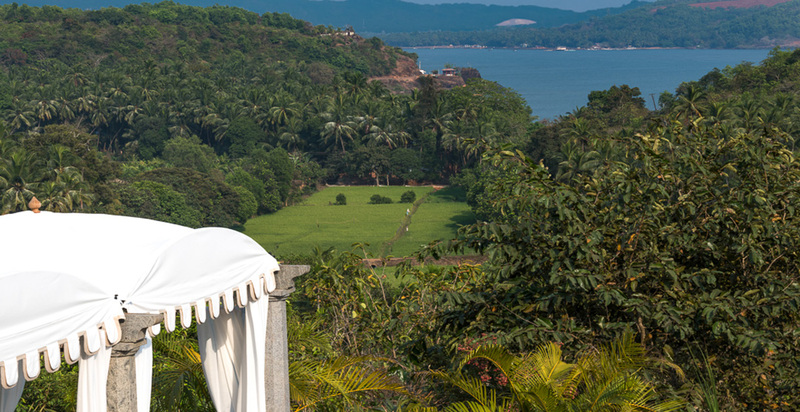 A Gin & Tonic terrace overlooks the ‘picture perfect’ Paradise Beach and is the best place for sundowners. 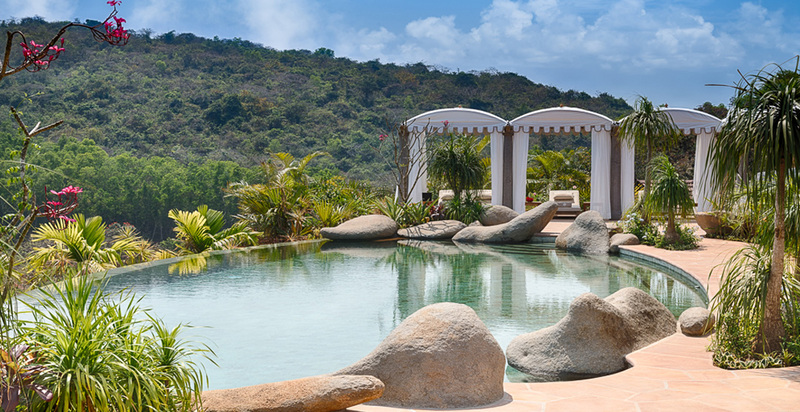 The infinity pool has white tented pergolas to each side and hours can be spent there listening to the noises of the jungle and watching the eagles soar overhead. 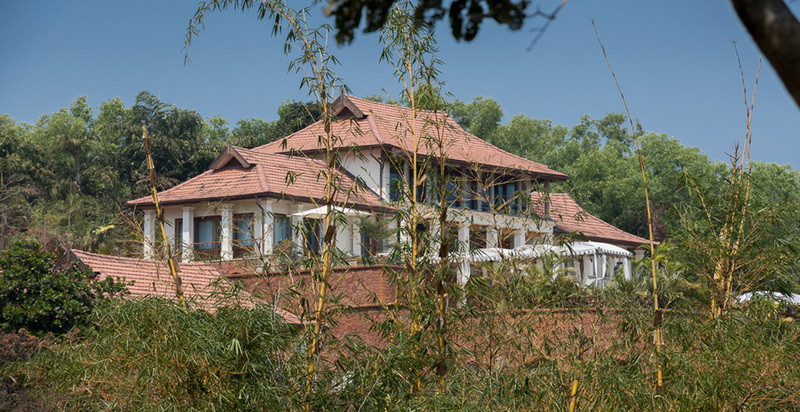 A team of delightful, smiling staff are there to look after every need and the cook serves delicious Indian/European dishes using fresh produce from the garden and local market.